Fraser Construction was established in 1982 and over the past 30 years has established itself as the Cape's #1 Roofing and Remodeling Company! Fraser Construction offer's homeowners the knowledge and experience that will help them sleep well at night. First impressions are lasting impressions and if you’re a homeowner that means when friends, neighbors and potential buyers first see your home, part of their initial image is formed by the appearance of your roof. A little thought and aesthetic sensitivity can insure that your roof both compliments and enhances the appearance of your home. Robert Kierce Roofing is your partner in helping you decide how to maximize your home's value through tastefully selecting and professionally installing various roofing options. Call Robert Kierce Roofing today to discuss your needs. 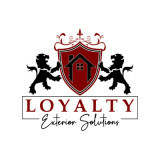 We are a family-owned company and with our years of experience in helping homeowners like you protect and improve your most valuable asset, your home. A family owned and operated exterior remodeling company. Our goal is to build a partnership with our clients. You should be informed not only before the project begins but every step of the way. 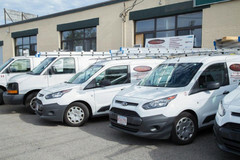 Boston MA roofing contractor specializes in Flat Roof installation Metal Roofing, and roof repair services for EPDM Rubber, PVC and TPO flat roofs, and copper / slate / metal roof repairs. Trust B.L. Mosher Construction for free estimates, full insurance, competitive pricing, top quality workmanship and a great clean-up! B.L. Mosher Construction, LLC specializes in providing quality renovations at an affordable price. Locally owned and operated, B.L. Mosher Construction, LLC has served the residents of Cape Cod for over 23 years with superior roof and general contractor work. We've worked hard to earn our reputation for quality craftsmanship, honesty and integrity. 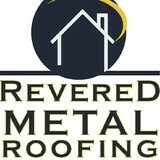 What do roofing companies in North Falmouth, MA do? Your North Falmouth, MA roofing contractor can install a new roof or repair an old one, as well as repair and replace gutters. Good roofers in North Falmouth, MA should be able to promptly inspect roofs and gutters to assess damage after a natural disaster or other event, and give you an estimate for the necessary roof repair immediately. Some North Falmouth roofing companies specialize in specific types of roofs, such as tile or metal, so make sure the one you are interested in works with the materials you have or desire. Find a North Falmouth roofer on Houzz. 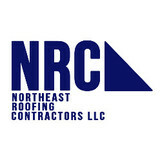 Narrow your search in the Professionals section of the website to roofing companies in North Falmouth, MA. If you’re planning a large-scale project, find other professionals on Houzz who can help get the job done. 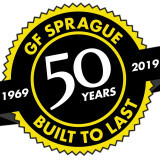 Here are some related professionals and vendors to complement the work of roofing & gutters: General Contractors, Specialty Contractors, Siding & Exteriors, Door Sales & Installation, Garage Door Sales & Installation.